The Agrupación Católica Universitaria (ACU) is a Marian Sodality within the Jesuit Christian Life Communities. The ACU is composed of professional Catholic men, fomed within the molds of the Society of Jesus, whose goal is to live a life in Christ based on the principles established in the Spiritual Exercises of St. Ignacious of Loyola. The Apostolate of the Divine Mercy (Apostolado de la Divina Misericordia) is dedicated to promoting the message of Jesus, Divine Mercy of the Father. The essence of the message is trust in God and the works of mercy. Prayer groups dedicated to deepening their understanding of the message of our Lord to Saint Faustina are promoted throughout the Archdiocese of Miami. El Apostolado de la Divina Misericordia se dedica a propagar y promover el mensaje de Jesús, Divina Misericordia del Padre. La esencia del mensaje es la Confianza en Dios y las Obras de Misericordia. Nuestra misión incluye promover la creación de grupos en la Casa de Oración y en las parroquiasque se dediquen a profundizar su entendimiento del mensaje de Jesús a Santa Faustina. Men who love and respect the moral and Christian traditions of the Catholic faith. They assist parishes through their volunteer work helping the Pastor in his pastoral efforts. Castos Por Amor es un movimiento apostólico de la Arquidiócesis de Miami que comunica la Buena Noticia en una nueva evangelización de auténtico compromiso apostólico "proclamando el evangelio de la castidad". Aporta una pastoral sobre la sexualidad humana basada en el Magisterio de la Santa Madre Iglesia a través de apostolados de educación, prevención y recuperación. Da herramientas y educación para llevar la castidad como virtud en todos los estados de vida, solteros, consagrados y casados. Las enseñanzas y catequesis incluyen pero no limita a: programa radial "Creciendo en el Amor" por EWTN Radio Católica Mundial, talleres, misiones parroquiales, congresos y el retiro Libres Para Amar, basado en la Teología del Cuerpo del beato Juan Pablo II, para mayores de 18 años, hombres, mujeres, solteros y casados. 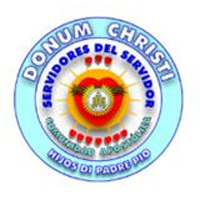 La prevención y recuperación se realiza a través de la consejería clínica cristiana católica de su apostolado Misión San José CCC y grupos de apoyo para hombres ("Grupo de apoyo San José") y para mujeres ("Mujer, llena de gracia") para vivir y recuperar la sexualidad integrada. The mission of the Catholic Charismatic Renewal is to foster the dynamic grace of baptism in the Holy Spirit (Acts 1:5) which empowered the members of the early Church at Pentecost. This mission is accomplished by offering Life in the Spirit seminars, and proclaiming the Lordship of Jesus Christ and the love of the Father as manifested and experienced in the power and charisms of the Holy Spirit. The goal is to foster a renewal of the grace and culture of Pentecost and encourage the awareness and the experience of the full role of the Holy Spirit among Catholic Charismatic Renewal groups and ministries. The Christian Life Movement in an International Private Association of the Faithful by Pontifical Right. Its members are clergy, people in newly consecrated forms and the laity in general. Men and women, singly or organized in communities, or other forms of association are part of the Christian Life Movement. They all have the aim of living and developing Christian life in their lives, the society, the world. It is an Ignatian community of apostolic life. Their patron is St. Francis Xavier. Its members are lay men and women who desire to follow Christ closely and work in the construction of His kingdom. The spiritual exercises of St. Ignatius are the specific fountain and instrument of their spirituality. La Comunidad Siervos de Cristo Vivo es una unión de personas laicas, católicas, apostólicas y romanas (Can. 298), que viviendo en el mundo y acogiéndose al derecho que la Iglesia le concede (Can. 299), se han asociado para formar una comunidad carismática y evangelizadora, no necesariamente viviendo bajo el mismo techo. La Comunidad tiene un llamado con tres vocaciones fundamentales: a la vida contemplativa, a la vida evangelizadora, a la transformación en Cristo. En nuestra Casa de Oración ofrecemos: retiros, cursos y talleres (Escuela de Evangelización), seminarios, programas de radio y televisión (Lumen 2000), casa de retiro, acogida espiritual (oración de intercesión, teléfono de oración, consejería, etc. 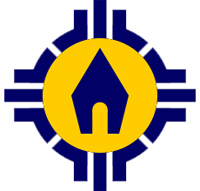 ), librería y grupos de oración para adultos, jóvenes, jóvenes adultos y niños. Los Siervos de Cristo Vivo visitan constantemente a Jesús para adorarle, para estar con Él y así ser transformados por Él. The Cursillo Movement is a movement of the Roman Catholic Church ministering worldwide and having the same apostolic purpose as the Church herself, evangelization. The Cursillo, by means of its own method, makes it possible for Catholic people to live what is fundamental for being a Christian, and to live it in community. It helps people discover and fulfill their personal vocations and it promotes the creation of core groups of Christians in all walks of life. They, in turn, leaven their environments with the Gospel of Jesus Christ, fulfilling their baptismal responsibility. Parish retreats for both men and women separately. This is a retreat for all those who wish to experience God, renew and deepen their relationship with the Lord; this is a time for personal growth. 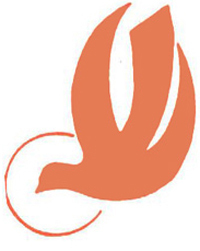 The Florida Center for Peace is an organization dedicated to the propogation of the evangelical message of love, good will, prayer and conversion through two ministires: evangelization and prayer groups of adults and children. These incorporate a special devotion to Our Lady, the Queen of Peace. The message of the Focolare is not a complicated one; its spirituality is drawn straight from the Gospel. For 2,000 years, Jesus has asked his followers to give God the first place in their lives. He desires the fulfillment of His New Commandment: "Love one another as I have loved you" (Jn 13:34 ). It is not great works that characterize Christians, nor knowledge, miracles or mystical phenomena. If we love one another, then the world will believe. (Chiara Lubich, Founder). 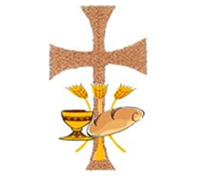 Heralds of the Gospel is an International Private Association of Christ's Faithful of Pontifical Right, approved by Pope Saint John Paul II, through a decree issued by the Pontifical Council of the Laity on the Feast of the Chair of St. Peter, February 22, 2001. It was founded by Monsignor João Scognamiglio Clá Dias, E.P., an honorary canon of the Papal Basilica of Saint Mary Major in Rome. 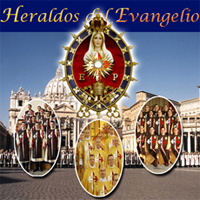 Active in over seventy countries in the Americas, Europe, Africa and Asia, the Heralds are committed to the New Evangelization. This broad apostolate includes disseminating the call for conversion and penance asked by Our Lady at Fatima and promoting devotion to the Most Holy Rosary. They can frequently be seen in churches, schools, homes and other public and private venues carrying out ceremonial crownings of the statue of the Blessed Virgin Mary. Two societies of apostolic life have arisen from within the Heralds of the Gospel. 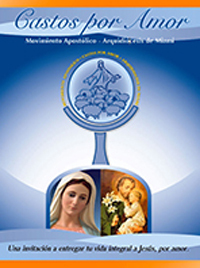 The Clerical Society of Apostolic Life Virgo Flos Carmeli (Virgin Flower of Carmel) is composed of male members who have answered the call to the priesthood. Though primarily ministering to the members of the association, the priests of Virgo Flos Carmeli have also taken on parochial assignments and other duties when requested by diocesan bishops. The second is the Society of Apostolic Life Regina Virginum (Queen of Virgins), which is composed of female members of Heralds of the Gospel who have professed the evangelical counsels and live as religious in community. Both the masculine and feminine branches are characterized by their life in separate communities in which they seek to 'follow Christ with greater freedom and imitate Him more closely' (Perfectae Caritatis 1) in order to better devote their lives to the service of the Church. From a desire expressed by so many individuals in different places throughout the world, another institution arose within the Heralds of the Gospel. The "Companions" consists of married or single individuals, living in the secular world, who, while faithfully fulfilling the obligations and duties proper to their vocation and state in life, undertake to live in conformity with the charism and spirituality of the association by dedicating their free time to carrying on its apostolate and assuming certain spiritual obligations. Peruvians and faithful from other nationalities residing in the Archdiocese of Miami have brought this tradition to our local Church and the different parishes where the spirituality and devotion to the Lord continues with the celebration of Masses and processions. 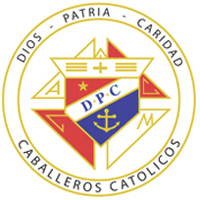 Knights of Columbus – Caballeros de Colón "The Knights of Columbus is a Catholic men's fraternal benefit society that was formed to render financial aid to members and their families. Mutual aid and assistance are offered to sick, disabled and needy members and their families. Social and intellectual fellowship is promoted among members and their families through educational, charitable, religious, social welfare, war relief and public relief works. The history of the Order shows how the foresight of The Venerable Father Michael J. McGivney, whose cause for sainthood is being investigated by the Vatican, brought about what has become the world's foremost Catholic fraternal benefit society. The Knights of Columbus has grown from several members in one council to more than 14,000 councils and 1.8 million members throughout the United States, Canada, the Philippines, Mexico, Poland, the Dominican Republic, Puerto Rico, Panama, the Bahamas, the Virgin Islands, Cuba, Guatemala, Guam, Saipan, Lithuania, Ukraine and South Korea. 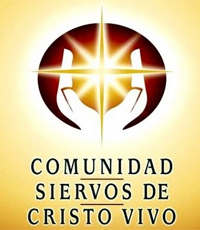 La Nueva Jerusalén Covenant Community is a private association of the faithful since 1987. As a "community of disciples on mission" they proclaim the good news of Christ through direct evangelization and develop and support strong family life and values. Matrimonios en Victoria es un movimiento laico católico internacional y un apostolado en la Arquidiócesis de Miami para el enriquecimiento matrimonial. A través de la combinación de retiros en español y en inglés y asambleas semanales de crecimiento espiritual en sus diferentes comunidades, el movimiento busca fortalecer el compromiso de los esposos a medida que descubren el plan de Dios para su matrimonio, ofreciéndoles herramientas a nivel práctico y espiritual. Su principal objetivo es la santificación del matrimonio, célula fundamental de la familia, la Iglesia y la sociedad. La evangelización, la oración y el servicio están en el corazón de MEV/MIV y sus ministerios. Entre estos se encuentra "Niños en Victoria", ofreciéndole formación y crecimiento en la fe a los niños mientras sus padres asisten a las asambleas en su comunidad. También el ministerio de "Mamás en Victoria", mediante conferencias-desayunos mensuales, les brinda a todas las mamás de la Arquidiócesis la educación y herramientas necesarias para cumplir su labor de madres por medio de la Palabra de Dios y la enseñanza de la Iglesia Católica. La pastoral del movimiento también cuenta con el programa radial en vivo, "Hombre y Mujer los Creó", semanalmente a través de la emisora de Radio Paz. 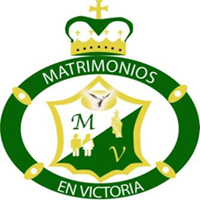 Matrimonios en Victoria/Marriages in Victory is a lay Catholic international movement and an apostolate in the Archdiocese of Miami with emphasis on marriage enrichment. 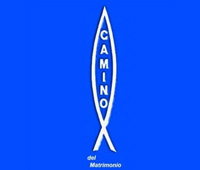 Through a combination of retreats both in Spanish and English, and weekly follow-up meetings at its various communities, the movement strives to strengthen the married couple's commitment to growing in their faith and marriage relationship as they discover God's unique plan for their marriage, and to receiving the necessary spiritual and practical tools to achieve this. Its main objective is the sanctification of marriage as the fundamental cell of the family, the Church and society. Evangelization, prayer and service are at the heart of all MEV/MIV its various ministries. Among these, the ministry of "Niños en Victoria" offers faith formation and growth to the children while their parents attend their community meetings. There's also the ministry of "Mamás en Victoria," open to all mothers in the Archdiocese; it provides faith formation and the necessary tools to accomplish their motherhood with the help of the Word of God and Church teachings. The movement also has a weekly radio program, "Hombre y Mujer los Creó," which is aired live by Radio Paz . The goal of the Miami Archdiocesan Council of Catholic Women (MACCW) is to unite all the Catholic women's organizations of the archdiocese in purpose, direction and action in religious, educational, social and economic fields; to stimulate these organizations to greater efficiency and usefulness in meeting the needs of the times; and to give full support to the statements and programs of the United States Bishops Conference and to render them assistance in these efforts. 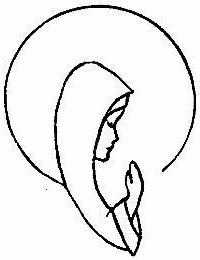 The MACCW is affiliated with the National Council of Catholic Women, which acts through its affiliated organizations to support, empower and educate all Catholic women in spirituality, leadership and service. The national council's programs respond with Gospel values to the needs of the church and society in the modern world. Parents filled with the love of God and for the family that have come together through the Eucharist, in a ministry of prayer and intercession for their sons and daughters. Our patroness is Our Lady of Guadalupe. They conduct three-day spiritual retreats in Spanish only. Since the early years of Christianity, the catechumenate has been the means through which the Church enabled people to acquire an adult faith so that they could receive baptism. The Neocatechumenal Way is an instrument approved by the Holy See that helps baptized people to rediscover the greatness and gifts of their baptism in the midst of a secularized society. This takes place through an itinerary, that by means of the preaching of the Kerygma and the tripod of Christian Life "Word of God-Liturgy-Community", leads people to fraternal communion and mature faith. In 1990, Pope John Paul II recognized the Neocatechumenal Way as "an itinerary of catholic formation valid for our society and for our times," encouraging bishops and priests to "value and support this work for the New Evangelization." At different times and in different ways, also Benedict XVI has addressed the Neocatechumenal Way in order to stress the abundant fruits of Gospel lived in the daily life and the extraordinary missionary zeal that it brings to the life of the lay faithful, to families, to parish communities, and the wealth of vocations it inspires to the priestly and religious life. Nueva Vida (New Life) is a movement to help those who have been affected by substance abuse (addiction) and to help them and their families to heal. The movement holds spiritual retreats for both the family members and the addict. They hold weekly meetings to follow up on their recovery as support groups. Opus Caritatis is presently involved in ministry to the homeless, the elderly and those who need substance abuse recovery. They are committed to work with those suffering from alcohol and drug dependency. Prayer and Life Workshops aim to help participants learn about prayer and deepen their prayer life. They are taught how to enter into a personal relationship with the Lord, from the very first step until the heights of contemplation. The result is becoming a friend and disciple of Christ. Talleres de Oración y Vida es un servicio para aprender y profundizar en el arte de orar. Se aprende a entrar en la relación personal con el Señor, desde los primeros pasos hasta las alturas de la contemplación. El resultado es llegar a ser amigos y discípulos del Señor. The Salesian Cooperators are a Public Ecclesiastical Association of the Faithful founded by St. John Bosco, better known as Don Bosco, with guidelines and regulations approved by Pius IX in 1876. The Salesian Cooperators are Catholics who, while living their faith within the framework of their own secular condition, draw their inspiration from Don Bosco's apostolic project, to contribute to the salvation of the young, "that part of human society which is so exposed and yet so rich in promise. The lay cooperators fulfill their commitment and live the Salesian spirit in the normal situations of their life and work, according to their lay state, and spread their values in their environment. Los Cooperadores Salesianos son una Asociación Eclesial Pública de Fieles fundada por San Juan Bosco, comúnmente conocido como Don Bosco, con su propio reglamento, aprobado por Pío IX en 1876. El Cooperador Salesiano es un católico que vive su fe inspirándose, desde su realidad secular, en el proyecto apostólico de Don Bosco, para contribuir a la salvación de la juventud, "la porción más delicada y preciosa de la sociedad humana". Los laicos Cooperadores cumplen con su compromiso y viven el espíritu salesiano en las situaciones normales de la vida y el trabajo, en función de su estado laical, y difunden sus valores en su entorno. Schoenstatt is a Marian movement founded in Germany on October 18, 1914. It was among the first of the lay communities that emerged in the 20th century in the Catholic Church. The movement emphasizes family life, and has branches to support individuals in their specific stage in life. For example, there are hundreds of Schoenstatt youth groups around the world. The Spanish language movement in Miami offers groups for married couples, women, mothers, children and youths. Casa Schoenstatt also hosts weekly rosaries, Mass, and adoration of the Blessed Sacrament on Saturday mornings. El Circulo de Sión, or Zion's Circle, meets every first Thursday of the month to pray for vocations. Nuestro carisma es llevar el amor de Jesucristo a las personas más necesitadas, especialmente a los habitantes de la calle, y nuestra espiritualidad es ser fieles a la Santísima Trinidad por medio de nuestra Iglesia Católica. An international private lay association dedicated to human development and social transformation through education and culture in the light of the Gospel message.